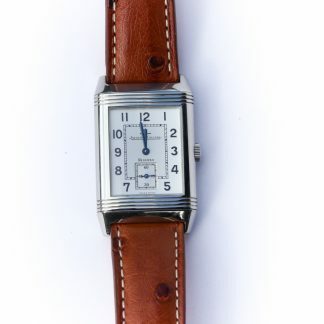 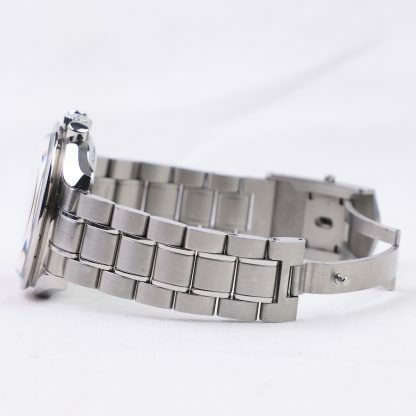 The watch is in excellent condition with only minor signs of wear in the form of superficial hairlines and scratches. Due to the nature of hesalite glass, the crystal has some scratches, which can easily be polished away shall you wish to do so. 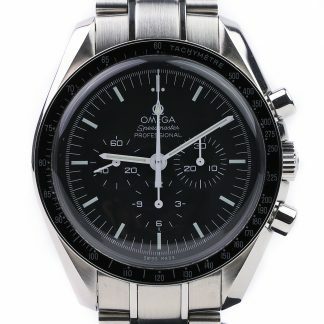 This is the iconic and extremely popular Omega Speedmaster reference 311.30.42.30.01.005, which is also Omega’s most sold model. 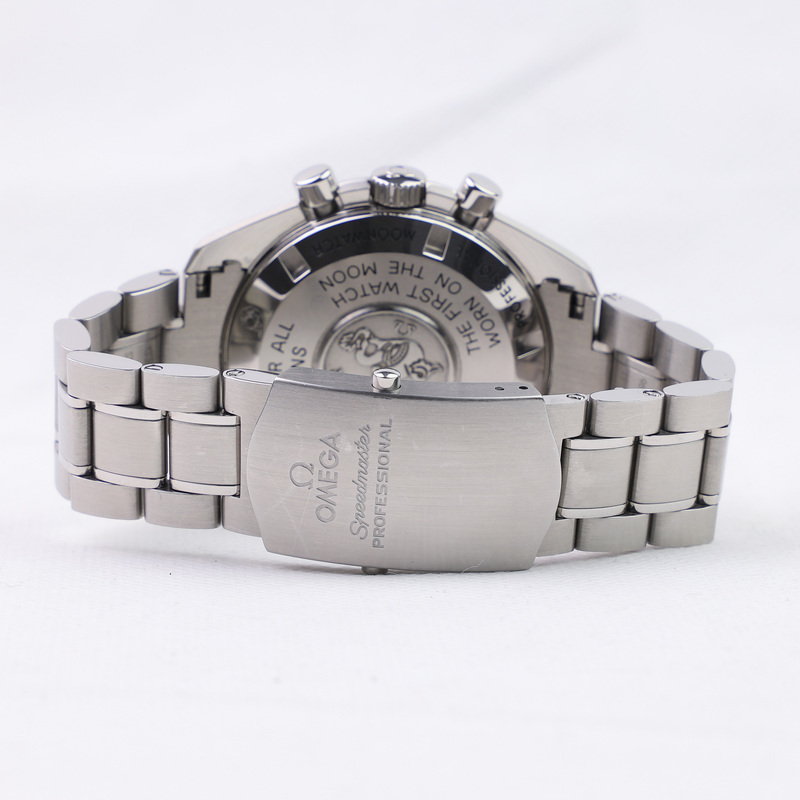 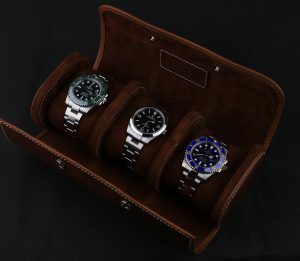 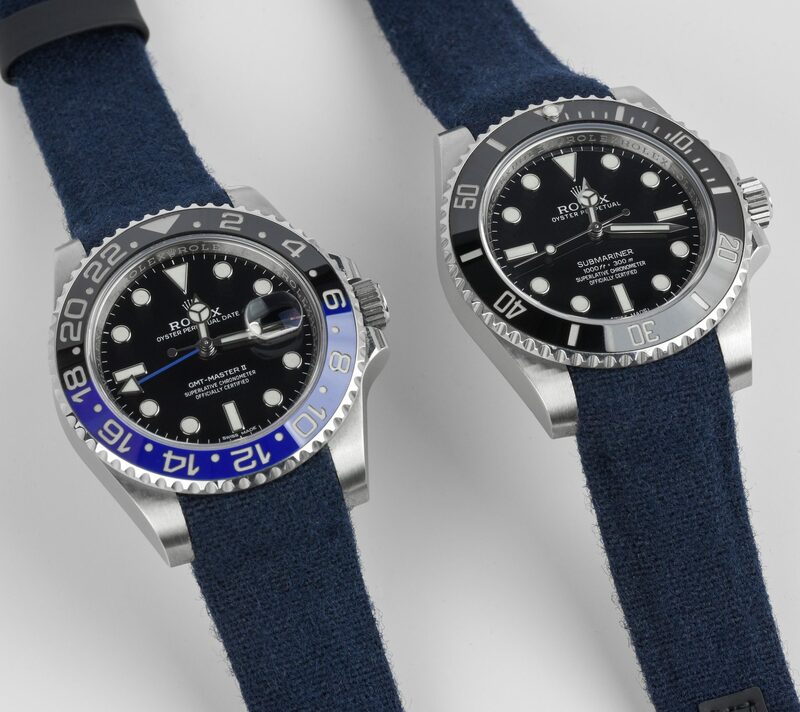 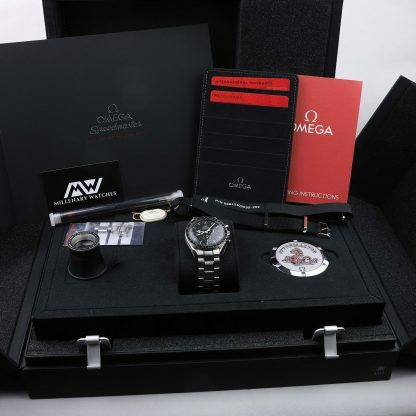 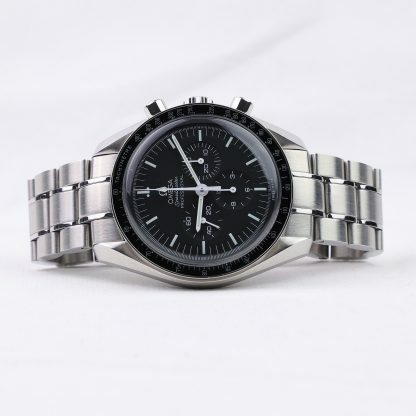 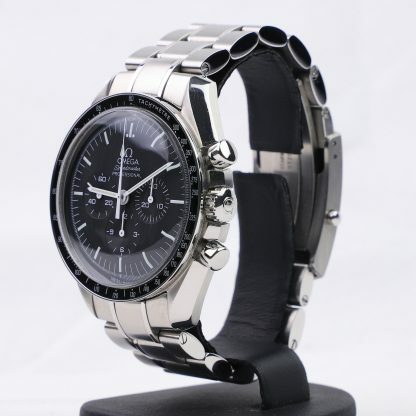 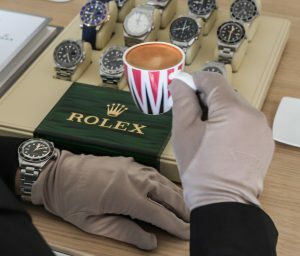 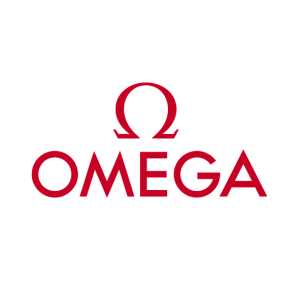 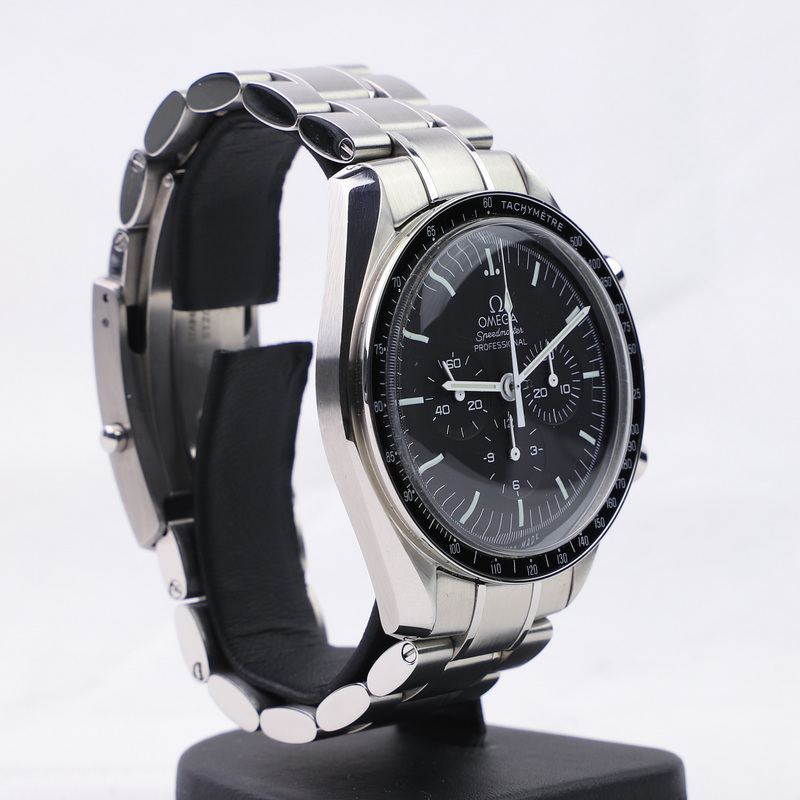 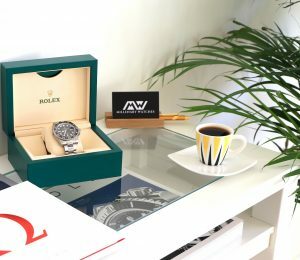 The watch has a hesalite crystal, a chronograph function, and comes with the large Omega Moonwatch box that includes a loupe, a black NATO strap, a velcro strap, booklets, tool for changing bracelet, and a cardholder and certificate cards. 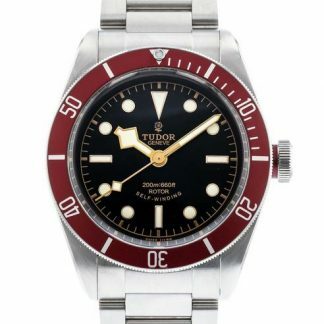 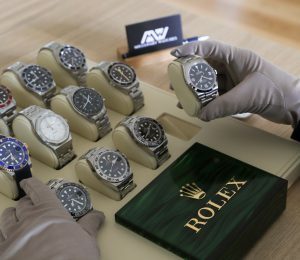 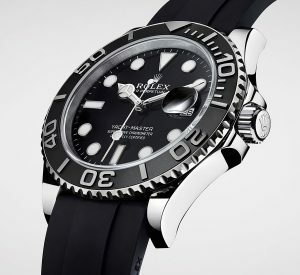 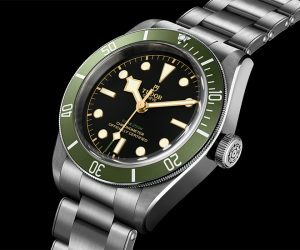 The functions include a small seconds sub-dial, 30-minute recorder and 12-hour recorder along with a central chronograph hand. 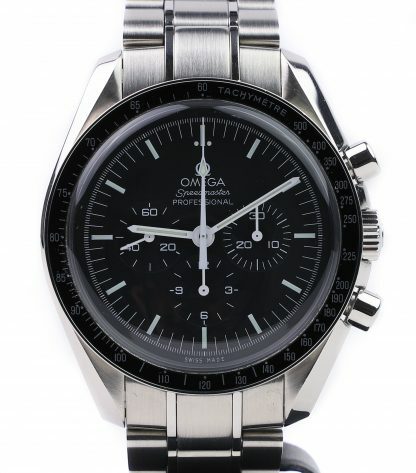 The watch also has a tachymeter scale. 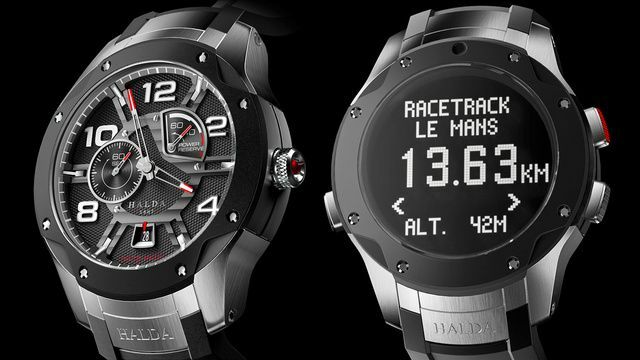 The watch is powered by a manual movement, in true moon watch fashion. 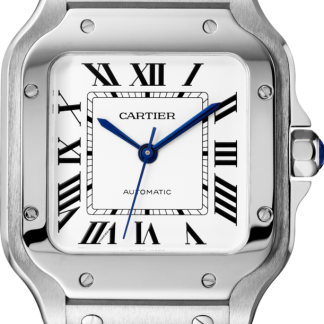 The movement is the caliber 1861 which has a power reserve of 48 hours and a rhodium-plated finish. 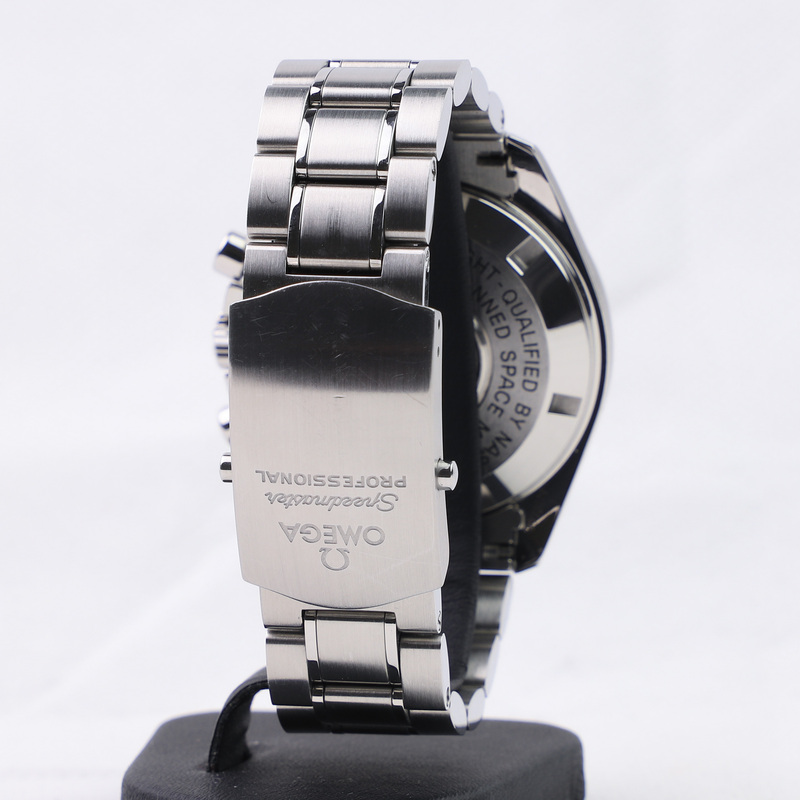 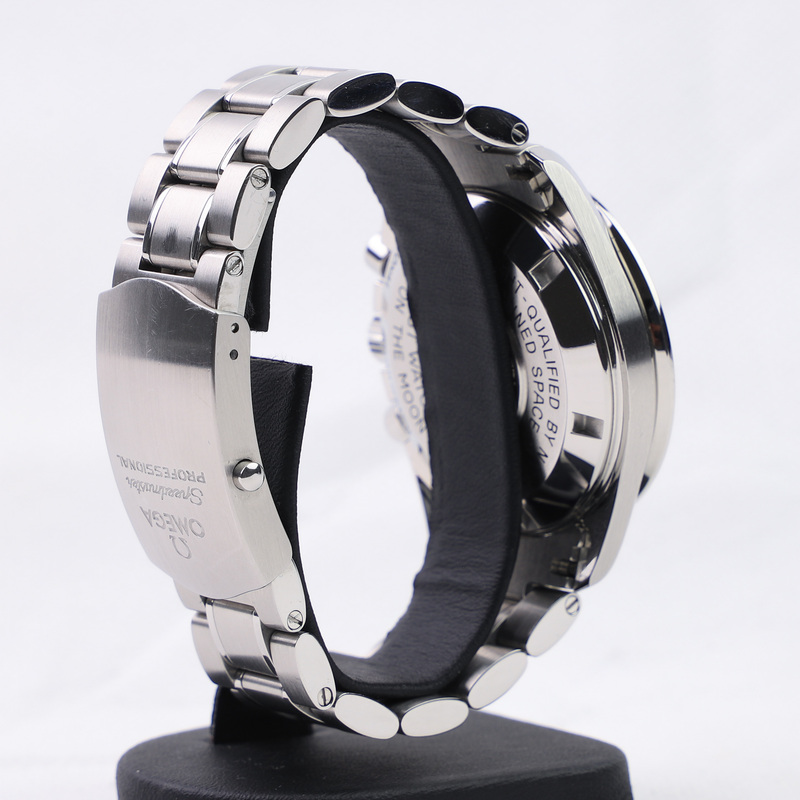 The case is 42mm and made in stainless steel. 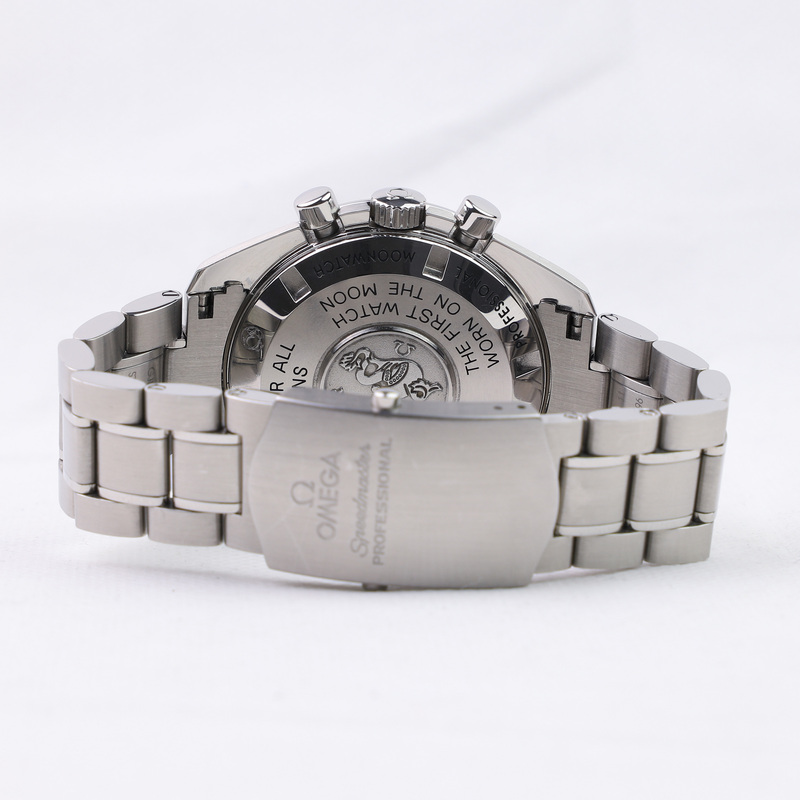 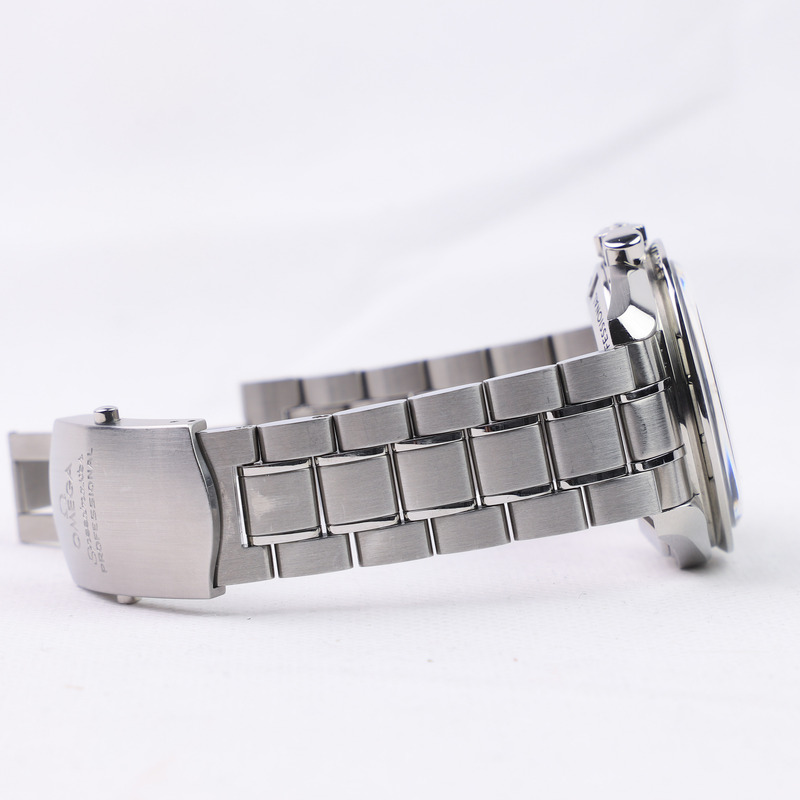 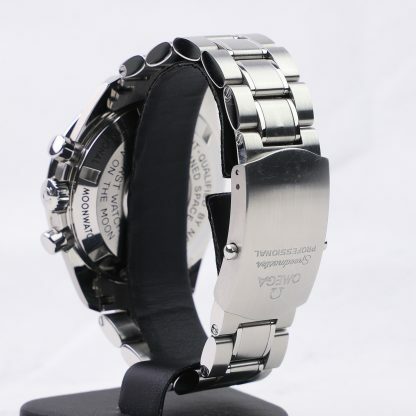 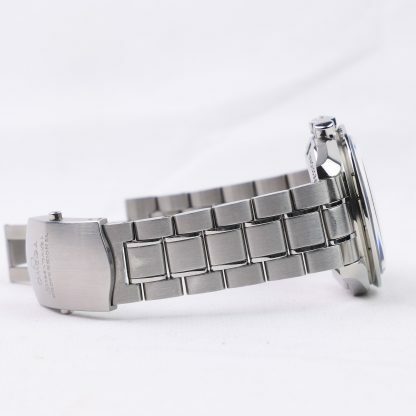 It comes with a stainless steel bracelet that has a locking clasp.